Lynda grew up in Surrey, but moved with her family to the small community of Grand Forks for her teenage years. She now lives in Walnut Grove with John, her husband of 34 years, and their two children, Alex and Lindsay. Lynda first started her career in banking and later transitioned to working as a Conveyancer, which she has now been doing for over 30 years. (That’s 210 in dog years!!!!). As a very organized and detail-oriented individual, she is the perfect fit for the demanding and time sensitive work required of a conveyancer. 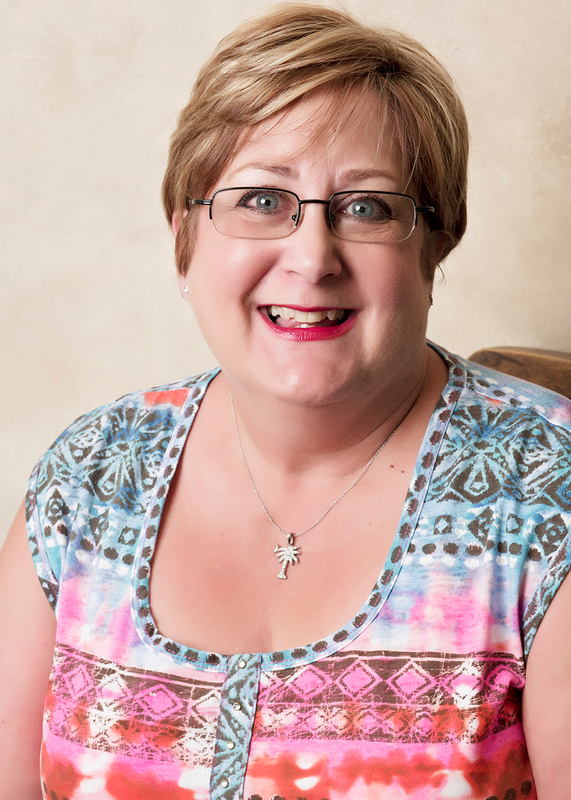 She has been employed with Donna M. Van Beek Notary Corporation since 1996 and is the sole conveyancer, capable of handling a high volume of completions each month. In the past year, she has become a volunteer with the Langley Special Olympics – on the court as a basketball coach, on the track as an athletics coach, and as recording secretary for the Executive Board. She has also participated in a number of fundraising events like the Weekend to End Breast Cancer, the Ride to Conquer Cancer and the Bicycle Trek for Life and Breath; she always manages to exceed her fundraising goals! In her spare time, Lynda keeps active by participating in many running, biking and obstacle racing events, including several half-marathons. Lynda has a wall of finisher medals which she collects to commemorate her accomplishments. In addition, she enjoys wine (and all things wine-related), spending time with friends, babying her rescue dogs, Diesel and Sadie, and holidaying in the warmer climates. Did we mention she enjoys wine???? ?